With the launch of WhatsApp and other free calling and messaging apps, Skype is no longer the prime service for communication as it once was. But recently, the company introduced a new feature that might raise its bar amongst the competitors. 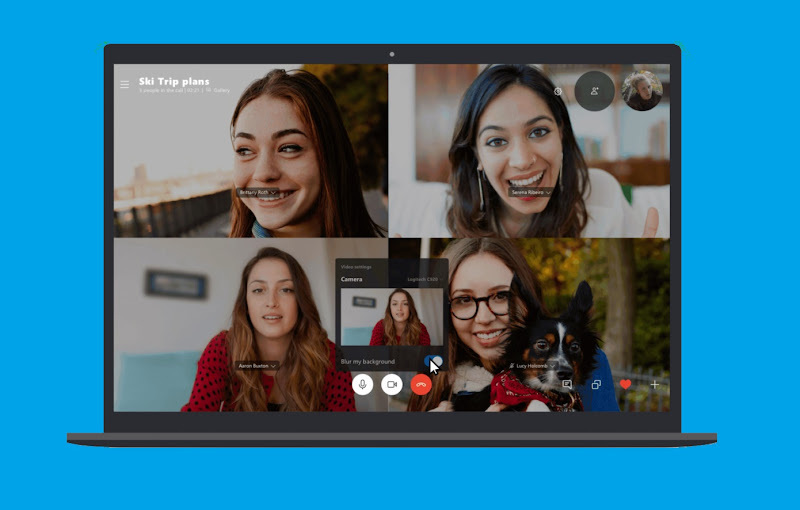 Skype will now be available with a screen-blurring feature to conceal your messy room or any other background details that you don’t want to show during video calls. According to Skype, the new feature uses artificial intelligence to keep the focus on the caller only. "Background blur in Skype and Teams uses artificial intelligence (AI)—trained in human form detection—to keep you in focus during your call. This technology is also trained to detect your hair, hands, and arms, making a call with background blur just as relaxed and easy as a regular video call. ", announced Skype Team in a blog post. The feature will be rolling out for Skype on desktop, web, and mobile. However, it won’t be able to support all devices as of yet. Users can enable it from the Skype setting or from the video call button within the app.